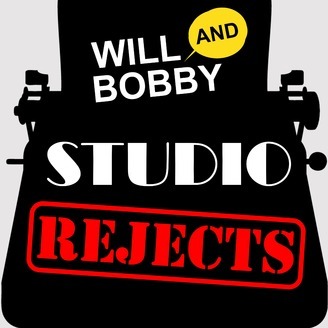 Studio Rejects is a comedy podcast from Will Rogers and Bobby Koester (of Will and Bobby Know Everything), where they read scripts for movies that never existed! Whether it's an unfinished draft of a horror movie, or a completely unused script of a huge franchise, they both act and riddle out the reasons why these scripts were tossed out! 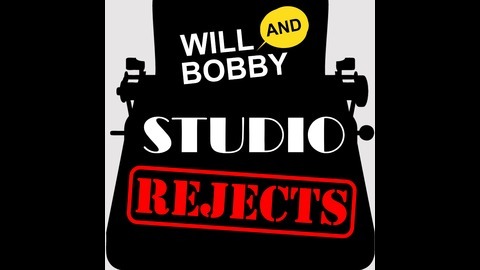 Follow Will and Bobby on Twitter: @BobbyKoester @WillRogers2000 @TalkBomb Studio Rejects is a proud member of Talk Bomb! Find more at TalkBomb.com! STUDIO REJECTS IS BROUGHT TO YOU BY TALKBOMB! This YEAR on Studio Rejects, we're reading and discussing the Scream script Will wrote! We get into a genuinely fun, interesting conversation about why certain decisions were made. Also we read Will's gritty, r-rated script for JONES, an Indiana Jones reboot inspired by the success of LOGAN!